Donate clothes and other household items in Texas. Charities such as the Salvation Army donation pick up, Habitat for Humanity donation pick up, St.Vincent de Paul donation pick up, AMVETS donation pick up, Easter Seals donation pick up, the Leukemia and Lymphoma Society of America, Animal Rescue Klub, the National Kidney Foundation of North Texas, and the Humane Society, among others, will pick up your donations for free and leave you a tax deduction receipt. Donationtown.org allows you to schedule online appointments for Texas donation pick ups. It has never been so convenient to make charitable donations in Texas until now. As there is a multitude of Texas charities to choose from, there is also a multitude of people who are waiting to benefit from your charitable donations. In the state of “friendship before statehood,” your Texas charity donations can make a world of difference in peoples’ lives. Schedule an appointment through DonationTown.org to set up an easy and convenient time for your Texas charity donation pick up. Are you wondering precisely where to make your Texas donation? The Salvation Army has sites in Waco, El Paso, Austin, Dallas, Fort Worth, San Antonio and Houston. Also in Houston and Dallas are sites for St. Vincent de Paul. Sites for AMVETS in Texas include Dallas, Fort Worth and San Antonio. The list goes on and on. 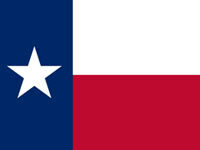 Search DonationTown.org for the most convenient location for your Texas charity donation. What’s the first thing that comes to mind of things to donate? Clothing donations! Texas clothes donations are so important to a vast number of people in a variety of ways. Donate any and every clothing item that you or your family members have no use for anymore. Your non-profit Texas charity clothing donation pick needs to be scheduled right now. All of the Texas charities above are accepting clothing donations every day. 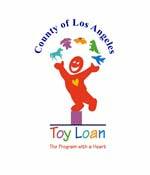 Donate used toys that your kids have outgrown and never play with anymore. Donate stuffed animals. Texas toy donations are a gift to needy children of the Lone Star State. You can donate books and appliances, you can donate used furniture and old sporting equipment, dishes, glasses, old sewing machines, dog leashes…..whatever you can think of that you don’t need anymore. 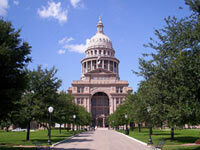 You can be sure that people all over the vast state of Texas will appreciate your generous Texas charity donations. Where Can I Donate Clothes, Furniture, Books and Other Household Goods in Texas? Bexar County, Cameron County, Dallas-Fort Worth, Harris County, Hidalgo County, Starr County, Travis County, Willacy County, & Many More Counties!